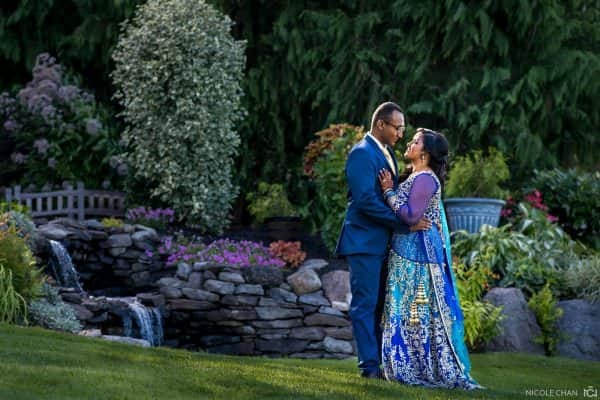 Kirkbrae Country Club is a private country club in Lincoln, Rhode Island that has been a spectacular spot for many of my South Asian / Indian weddings. The Rhode Island wedding venue allows for outside catering and its newly renovated banquet hall can host up to 400. Kirkbrae is only 10 minutes from Providence, close to many attractions, but far enough to have privacy for your big wedding day. On the grounds of Kirkbrae is a little garden area, perfect for intimate bride and groom portraits. For Shreya and Alvin’s South Indian wedding day, we also did all of their immediate family formal photographers here, too. Tiffany, the wedding coordinator at Kirkbrae Country Club, is an absolute gem. She is organized, incredibly calm, and a wonderful person.